DeWanda Wise is originally from Baltimore, Maryland and surrounding metropolitan area. Her mother, Margie Wise, was an office manager at a local printing company while her father, John Jackson, worked as a mechanic, a car tower, and a grocer overnights. Her father remarried when she was seven. DeWanda's older brother is Dwayne Wise. DeWanda first began performing by singing in the choir at Hopkins United Methodist Church. Her first solo "He's got the Whole World in His Hands" was sang at four years old. Also developed early on was a love of literature and writing, and growing up she participated in choirs and poetry contests on the state and national level through high school. She began acting when her High School Drama instructor gave her detention for being late to class. He had her audition for The Music Man as recompense. Though she lived primarily in Baltimore, she spent a great deal of her childhood at her grandfather's business, Ellis Wise Junkyard and Towing in Clarksville, MD.After high school she attended New York University's Tisch School of the Arts, performing in a plethora of plays and student film projects. She trained primarily at The Atlantic Theatre Company Acting School. In addition, she served as a Resident Assistant, President of drama club "The Collective," and engaged in the efforts and explorations of The Tisch University Scholars. DeWanda graduated with honors with a dual degree in Drama and Urban Social and Cultural Analysis. She has a minor in Community-based theater and performance. 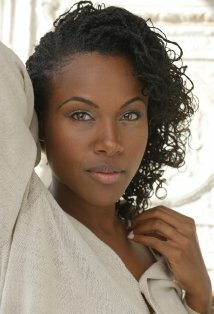 DeWanda Wise is a Tisch scholar award recipient, an Atlantic Achievement in Studio Award recipient, and the BFA Representative (Valedictorian) of her graduating class of NYU's Tisch School of the Arts.DeWanda first began in film/TV while at NYU when she was cast as Claudia Thompson in the film adaptation of Spinning into Butter. Still a stage actress, DeWanda stays occupied as an actor inside and outside of New York. Plays include productions of Charlayne Woodards Flight (City Theatre, Pittsburgh;) In the Continuum (Playmakers, NC;) Sundown Names and Night-Gone Things (NEC, NY;) and As It Is In Heaven (3Graces, NY. )DeWanda's community work includes collaborations with acclaimed dance troupes Urban Bush Women and written/directorial work for Inspirit: a Dance Company. In addition, she serves and volunteers through her church. DeWanda also conducts workshops for youth in schools across the New York and New Jersey area on topics ranging from violence to drug-use.At once city mouse, country rat, and suburban hamster; her multi-faceted upbringing gave her an understanding of the world at a very young age, and afforded an array of experiences that is evident in her performance. Her natural empathy, personal experiences, and anthropological approach undercurrents the specificity of her characters. Both the cheerleader and the civil rights activist, the girl-next-door and the beauty queen; she has been described as "versatile," "gifted," "dynamic," and just a good person.DeWanda Wise is undoubtedly one to watch, and only time will tell of her artistic and philanthropic wisdom.